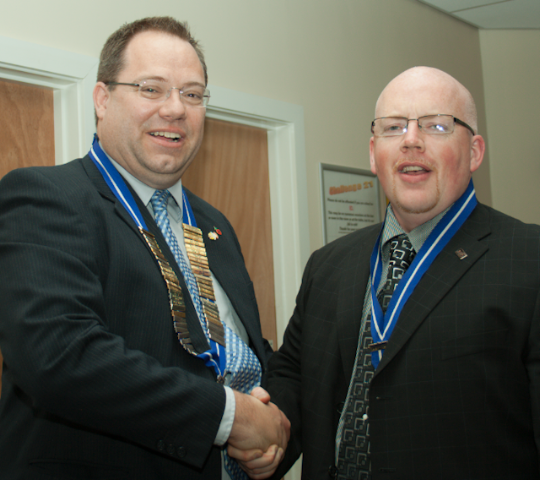 The reins of leadership for Long Eaton Round Table were formally handed over at the club’s AGM in April. 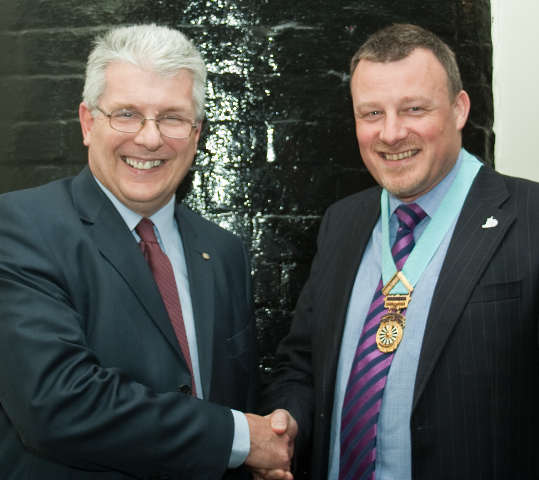 Outgoing Chairman Mark Elm congratulated new chairman Robert Westerman. The honorary positions of Club President also changed hands, with Shaun Brennan passing the chain of office over to Graham Hill. Students of LERT history will note that this was a repeat of their respective years as club Chairmen several years ago. 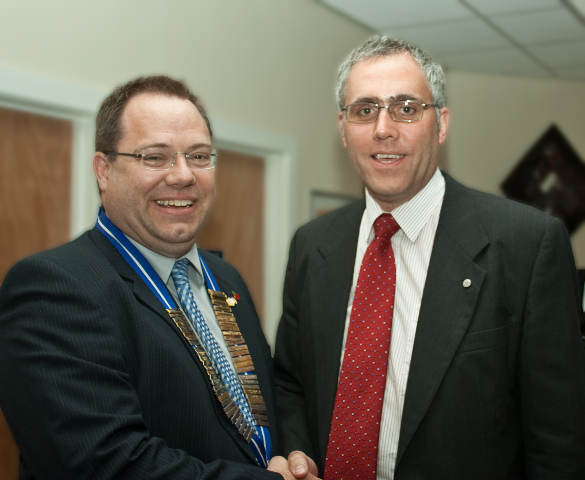 Vice Chairman for this year is Rob Murdy. Final honours of the night went to outgoing veteran and of Round Table Robert Jones, whose time in Round Table has finally come to an end after many years of distinguished service. (Ed: at least, that’s what he paid me to write). 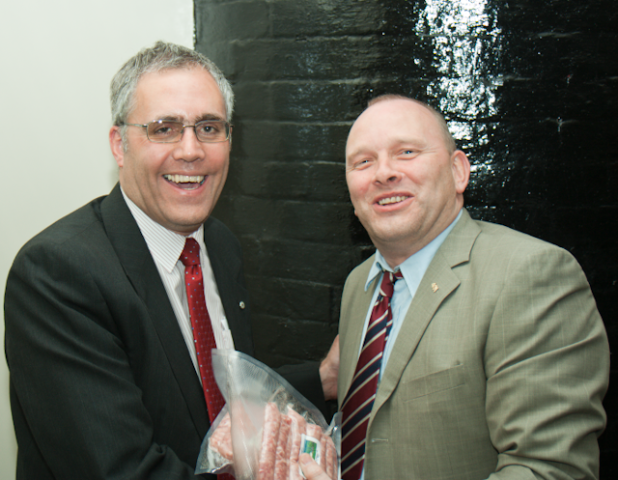 "Robert - If I give you this pack of sausages will you finally leave?"